An abundance of flowers and aroma are captured in this exquisite arrangement of Roses, Stock, Spray Roses, Cymbidium Orchids, Parrot Tulips, and more. It's a luscious display of creams, pinks, purples, blues and greens in a beautiful glass chop vase. 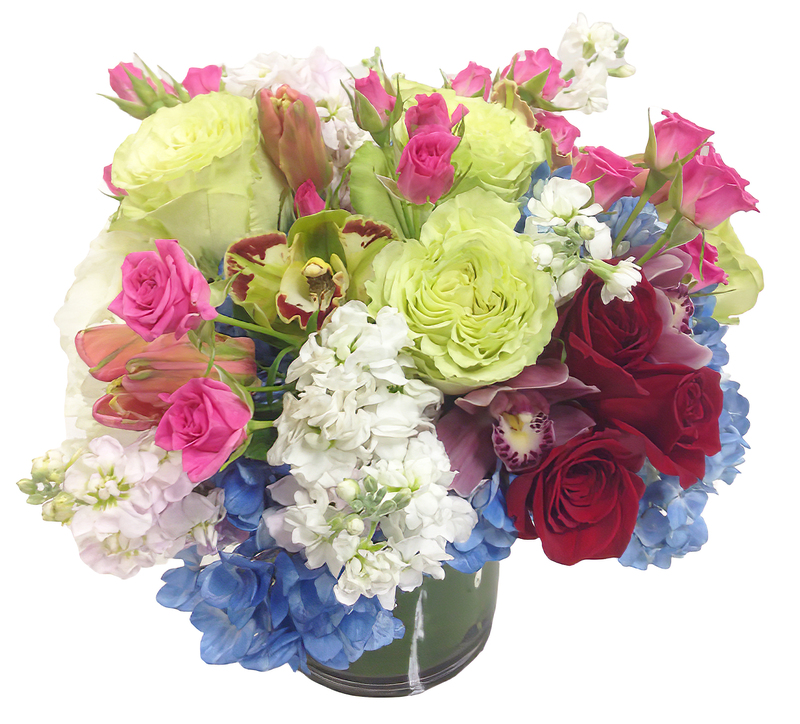 Bring the garden indoors with this floral arrangement or let someone know how much you care!